​Liverpool have released a statement threatening lifetime bans for any fan found guilty of throwing a flare at Chelsea supporters during Sunday's 2-0 victory. ​Liverpool released a ​statement in which they confirmed that any fan who was involved in the flare incident will be banned from Anfield going forward. 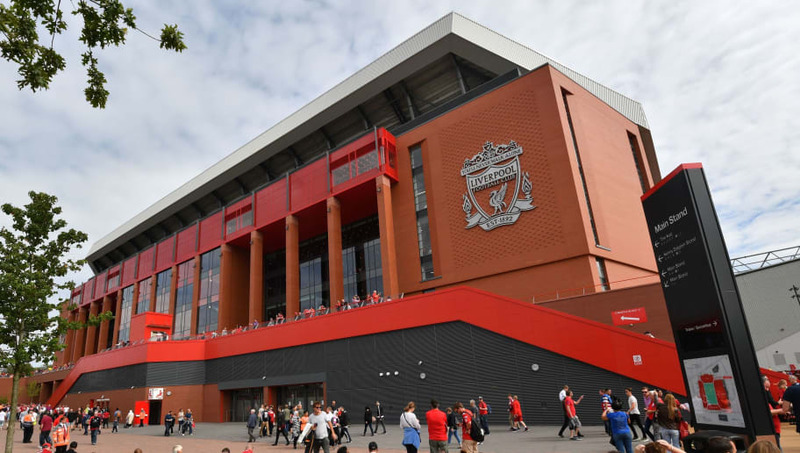 It read: “Liverpool Football Club would like to thank the players, staff, officials and supporters of ​Chelsea for their compassionate marking of the Hillsborough Anniversary during our fixture at the weekend. The build-up to the match was also shrouded in controversy after a video emerged on Twitter of a group of Chelsea fans chanting a racist song about Liverpool forward ​Mohamed Salah - an incident which saw ​some of the group turned away from their Europa League meeting with Slavia Prague on Thursday. The Egyptian got himself on the score sheet in spectacular fashion on Sunday, with his stunning long-range strike following ​Sadio Mane's headed opener to gift the Reds the three points. They returned to the top of the ​Premier League title, although the fate of the trophy remains in the hands of ​Manchester City, who have played one fewer game.